February 9, 2014 | Lens cap....off! Bookstores and libraries share that same Oh! factor for me. I could spend forever in there. My daughter is the same way. 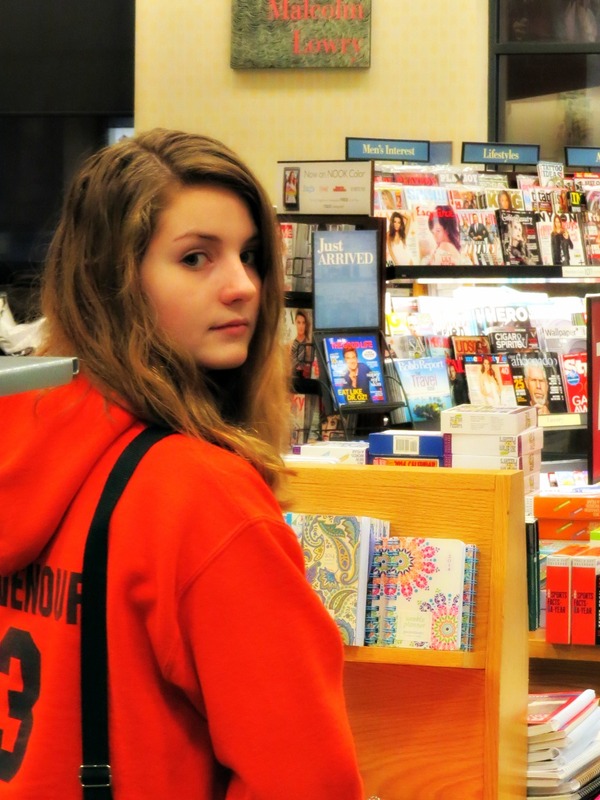 Funny, I thought I would get a lot of strange looks while I was taking pictures of my kid in the middle of the bookstore. I wasn’t sticking the camera in her face all paparazzi like, just sort of hanging in the background snapping pictures here and there. And then I caught her unguarded and I knew I was done. But not quite done. When I got home I cropped this baby and added a filter to it to make the colors stand out. Total disclaimer, and all.